One of our most popular types of roofing is asphalt shingles. Shingles are practical, economical, and durable, lasting through all types of weather conditions. 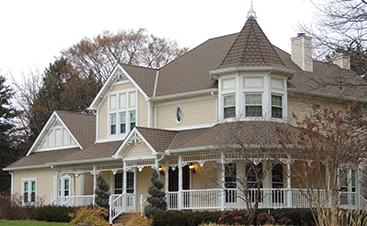 Ranging in color and style, shingles are a perfect fit for just about any budget. When it comes to your shingle roof, we never sacrifice quality in lieu of price. At Houser Roofing, we believe that the most important thing we can do is provide you with the confidence that your shingle roof is going to keep your South Texas home safe and dry. From shingle replacement to repairs and FREE inspections, we are the local roofers for you. In fact, every residential or commercial roof we install uses a full line of Certified CertainTeed roofing products. Ready to discuss your roof with us? Call today! We know that many companies pride themselves on how fast they can get in and get out, no matter what they are selling. Houser Roofing prides itself on attention to detail, craftsmanship, and dedication to perfection by hand-working on each and every roof. Our shingle roofers strive for nothing less the best. 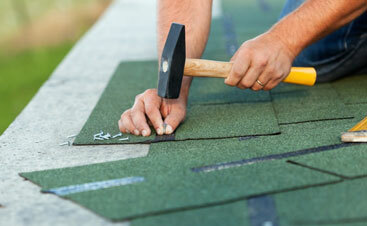 They commit to good old-fashioned hard labor to provide customers with shingle roofing products that truly last. Normally, shingle roofing takes only one day to complete from start to finish; however, when you choose Houser Roofing, we focus on our quality of work. We are passionate about our profession and strive to deliver the best shingle roofing craftsmanship possible. We are not painters acting as roofers; we are trained and CertainTeed certified asphalt shingle roofers who love what we do. Our goal is to install your shingle roof using hammers, nails, and an acute attention to detail, going above and beyond the expectations of our clients and the standard of other shingle roofing contractors in South Texas. Versatile – Asphalt shingles are versatile in that they can be installed on nearly any type of roof no matter the pitch. Color – When you decide to go with asphalt shingles, you will find a wide variety of colors to choose from. Durability – If you didn’t already know, asphalt shingles are level-four impact rated, which means they have the highest level of durability as a roofing material. Tough – Shingles are rated to handle high winds, which means the South Texas storms we face will be no match for your roof. Sound – Texas storms can get loud. So can the neighbors. Asphalt shingles offer a layer of sound resistance. Fire – Asphalt shingles are class-A rated for fires, which means they are extremely fire retardant. Installation – Once you hire a roofing contractor in South Texas, your asphalt shingles will be installed quickly. It’s one of the easiest materials to install. Cost – Asphalt shingles are relatively inexpensive compared to other roofing materials, and they offer all of the benefits above. How Much Do Asphalt Shingles Cost? The cost of asphalt shingles can vary depending on the market value of the roofing material. In most cases, you will find that asphalt shingles will cost between $100 and $350 per square. Bundles typically cover 1/3 of a square. You can determine the square footage of your roof and then get a rough estimate on how many bundles of shingles you’ll need to install a new roof on your home or business. Once you have the total square footage of your roof, you will divide it by 100. There are 100 square feet per square. Once you have the number of squares, you then have the number of squares of asphalt shingles you need for your entire roof. For example, a barn has two roof planes that are 12,000 square feet per plane. The total square footage is 24,000 sq. ft. Divide this number by 100, and you will get 240 squares. You now know that you need 240 squares of asphalt shingles to roof the barn. You can then take the price of shingles per square and multiply it by 240 to get a rough estimate of the cost of your roof shingles. Be sure to add 10 percent extra material for what’s called trim allowance. 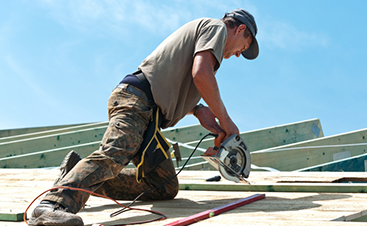 Some material will be lost to cutting and trimming, which can mean you need to add a little bit more material to complete your entire roof. Want A FREE Asphalt Roofing Quote?